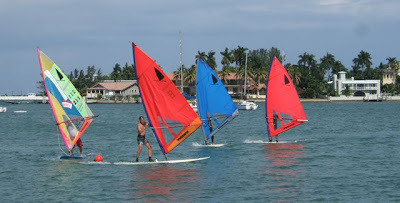 The Windsurfer One Design International Slalom & Freestyle Cup was held at the Miami Yacht Club in conjunction with the 2010 Kona Windsurf World Championships. 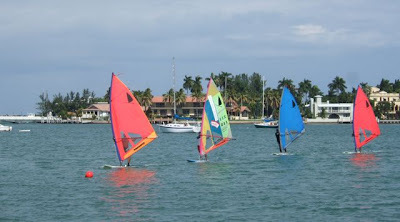 The wind was light to moderate on a fast slalom course which meant the start, each tack, and each jibe were critical. 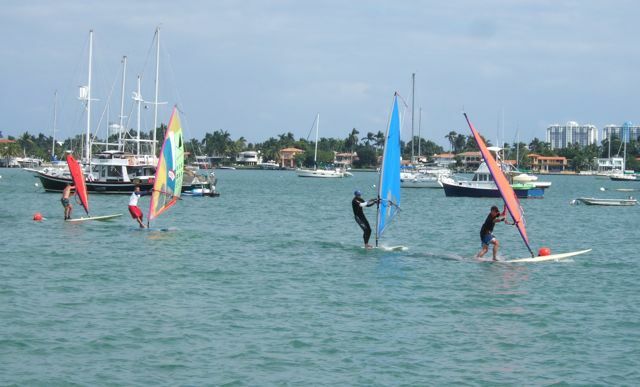 The competitors did a good job of maintaining their boat speed while rounding the jibe marks downwind. One slip up and the competitor behind you was sure to overtake you! 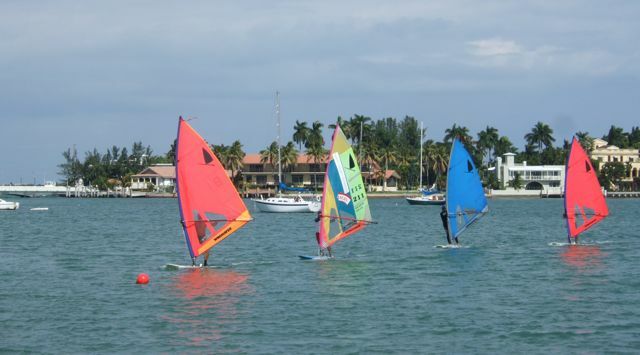 Several sailors passed their competitors while rounding the marks. It was very exciting to be in the competition and exciting to watch the competition! Greg Johns from Australia ran the Slalom races, he started and recorded the finishes of all the Slalom heats. THANKS GREG!!! 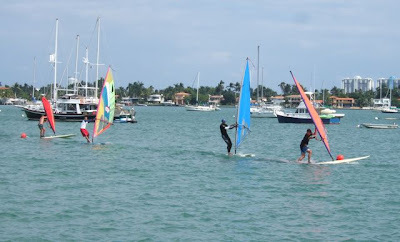 I didn't have an opportunity to take any Freestyle pictures because Greg Johns and myself were judging the Freestyle competition.... there are Freestyle photos from the event that you can view that have been posted on the Original Windsurfer FaceBook page. 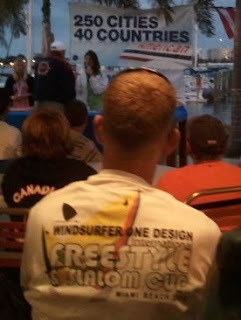 Here's a picture of the event shirt, designed by Florencia Barletta from Miami Yacht Club. Thanks Flor for ALL your help! And there's now a new Windsurfer One Design in Miami thanks to Tomas --who runs the Junior Program at the yacht club -- who bought a Windsurfer One Design. I hope to make it back to Miami again!